Owner-managed by Neil & Rhoda Campbell, the cottages have been built on Rhoda’s family croft in Scarista, which is now into the third generation of the same family. Neil was born and brought up on a croft in Skye. Both decided to move back to Harris when Neil sold his business and embarked on building the first five-star self-catering accommodation on Lewis & Harris. The couple with their two children have built a house behind the cottages so that they could be available should guests need any help in making their stay a truly memorable world class experience. Neil and Rhoda feel it is important that they are on hand to welcome guests and ensure their stay is a memorable one. They can also source local produce such as scallops, langoustines and lobster. They can advise on the best walks and best places to eat. Rhoda is a fluent Gaelic speaker and happy to converse with you in the native tongue should you so wish. 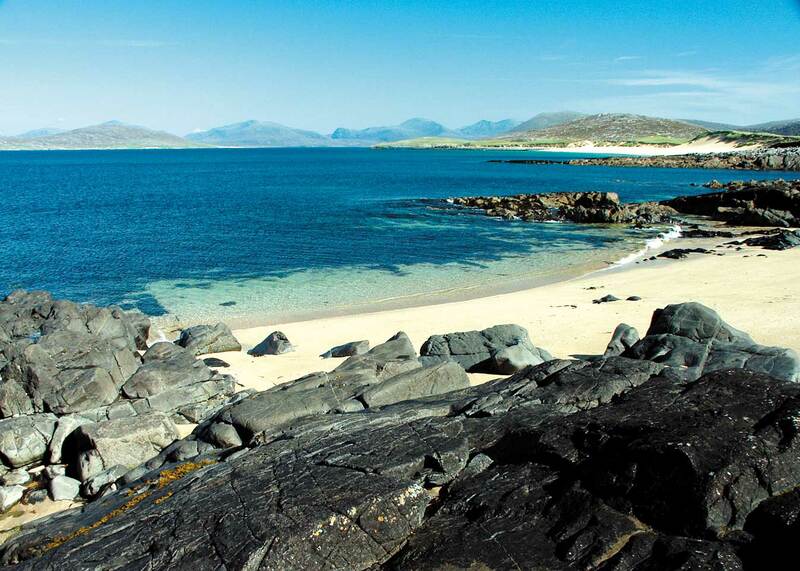 In 2013 we celebrated 10 years of Blue Reef Cottages providing an award-winning eco-friendly welcome to the beautiful Isle of Harris. 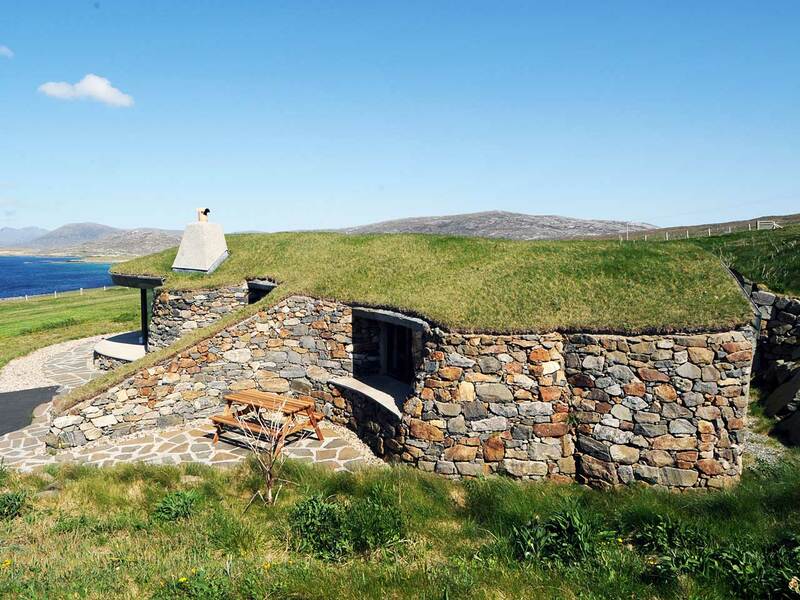 When Neil and Rhoda Campbell relocated from Skye to Rhoda’s family croft in Scarista on the Isle of Harris they embarked on a very special building project, Blue Reef Cottages brought sustainable five-star holiday accommodation to the island. 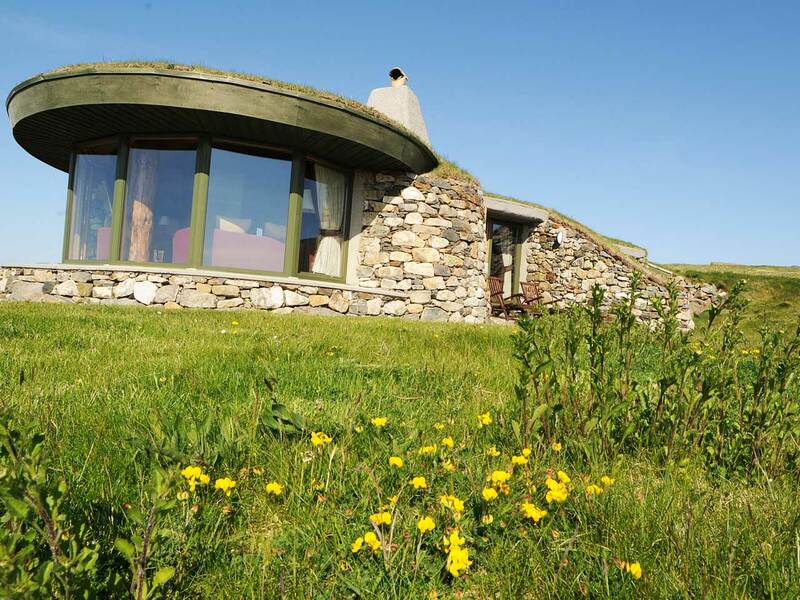 The two turf-roofed luxury self-catering properties are owner-managed by Neil, Rhoda and their family. The cottages are delighting tourists attracted to Harris’ first-rate wildlife, beaches and get-away-from-it-all seclusion. The whole of the island is designated a National Scenic Area, and the family are keen to match world-class scenery with a world-class welcome – in English or Gaelic! Blue Reef’s strong environmental commitment has been recognised with a Gold Award from the Green Business Tourism Scheme. Energy-saving light bulbs are used throughout the cottages, waste is recycled and cleaning products are all fair trade and eco-friendly. Added to this, guests are provided with plenty of information on local transport, walking and cycling. Two unobtrusive wind turbines take care of the cottages’ energy needs – with enough left over for the nearby family home. Even the cottages’ turf roofs are good news for the environment – they absorb up to 75% of rainfall and naturally regulate the inside temperature. In summer, beautiful Machair flowers are seen growing in the turf. As well as caring for the local environment, Blue Reef supports local businesses too. Guests are encouraged to use local suppliers who source the island’s seasonally-available foods including scallops, langoustines and lobster. These original stone and turf roofed cottages have received the following accolades over the last 10 years. Condé Nast Traveller – Top 10 cosy retreats. Marie Claire – Top 10 chic retreats. Sunday Times – voted in the top 100 cool cottages. Flavours of Scotland -Travel Channel – Place to stay in the Outer Hebrides. Perfect Weddings and Scottish Wedding Directory – Top Honeymoon Destination. Blue Reef Cottages are owner-managed by Neil & Rhoda Campbell, and have been built on the family croft in Scarista.